SO, you’re in NEW ORLEANS and you’ve had the beignets and the gumbo and you’ve eaten one too many poboys and now you’re jonesing for the flavors of Southeast Asia, what do you do? You head to MOPHO — home to one of America’s most exciting new chefs — where the fusion of Vietnamese flavors and Louisiana ingredients has everyone buzzing. 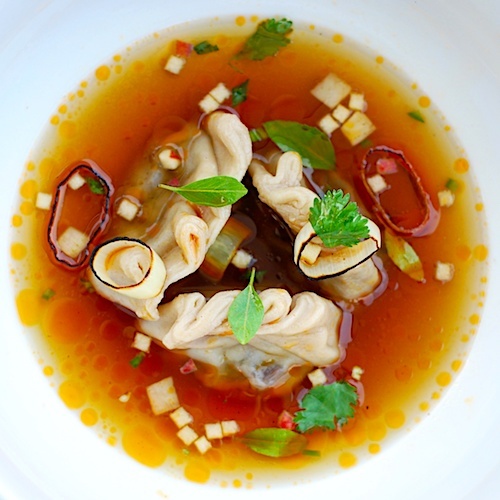 Order WOK-FRIED NOODLES with BLUE CRABS + CHILIES or the decadent BOUDIN NOIR DUMPLINGS with ROASTED APPLE BROTH and when you’re done…thank MICHAEL GULOTTA for the mouthwatering experience.